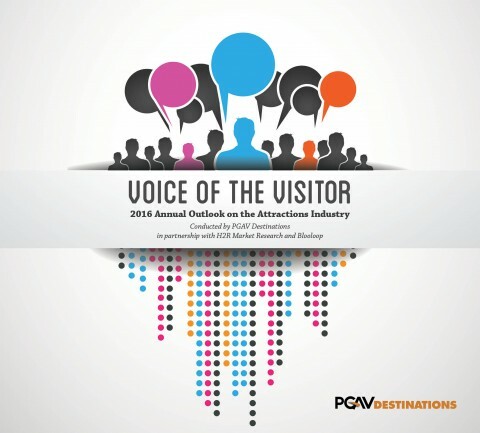 We wrote the inaugural Voice of the Visitor: 2016 Annual Outlook on the Attractions Industry for PGAV Destinations, a global leader in the planning and design of unique destinations. The survey presents the results of a study of more than 1,000 U.S. leisure attraction visitors who have either visited an attraction in 2015 or are open to doing so this year. It serves as an essential benchmark study in understanding the U.S. attractions and travel market. Voice of the Visitor is a wholly unique industry forecasting report in that its findings and predictions are primarily based on feedback collected from destination guests themselves, rather than observation and attendance figures. The report explores various demographic trends amongst more than a dozen types of attractions, from Family Entertainment Centers to Botanical Gardens. Deep insights are gained from the ever-diversifying Millennials, Baby Boomers, and Matures. Voice of the Visitor also explores the impact of social media while attending, and key delights and pain points. The full survey can be found here.